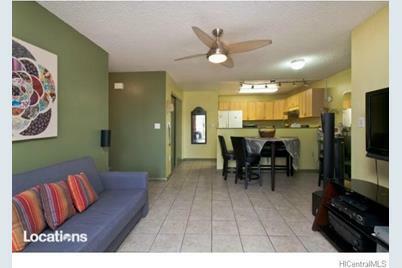 Ground floor corner unit in a gated community. Great starter home. Tiled floor for easy maintenance, nice view from all bedrooms. Enjoy great views and forest feel in your own backyard. Close to shopping, restaurants, parks, H-1 freeway on-off ramp. Approved for a ZERO-down payment. 94-522 Kupuohi Street #15/104, Waipahu, HI 96797 (MLS# 201512262) is a Condo / Townhouse property that was sold at $325,000 on November 27, 2015. Want to learn more about 94-522 Kupuohi Street #15/104? 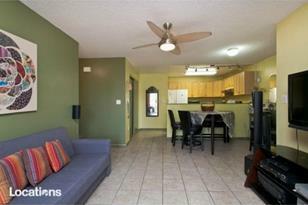 Do you have questions about finding other Condo / Townhouse real estate for sale in Royal Kunia? You can browse all Royal Kunia real estate or contact a Coldwell Banker agent to request more information.